We are dealing in Stainless Steel Scrap. We are offering SS 310 Scrap to our clients. We are major Stockiests, Importers & Suppliers of SS 304, 304L Grade Scrap in various forms such as Sheet Cutting, Plate Cutting, Industrial Scrap, Turning Scrap, Punching Scrap etc. 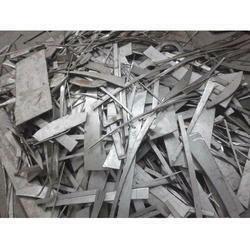 Stainless Steel Scrap of different grade like 304, 316 etc. and Grinding Dust. 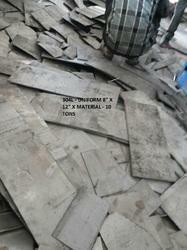 We can offer you Stainless Steel 400 Series Scrap as per customer requirement. We already supply Stainless Steel 400 Series Scrap to Ahmedabad, Baroda, Surat, Rajkot, Jamnagar, Mumbai, Pune, Aurangabad, Delhi, Jaipur, Kolkata, Banglore, Chennai, Madurai, Cochin etc.Yes! Riding on unfathomable volumes of industrial expertise, we are providing a broad array of SS Plate Scrap. We are buying & selling Stainless Steel / Metal Scrap of Various Grades. We buy Stainless Steel Grade 400 Series, 300 series, 200 Series Scrap. We also buy High Nickel, Moly & other Scrap. Iron = 83 +/- 1%. We offer to our clients superior quality of utensils scrap that meet the end requirements of our clients based in the fastener and allied industries. Our tie ups with reputed manufacturers enables us to offer them in different grades which are available in various series. Scrap in Pressed 1 Kg Bundles.